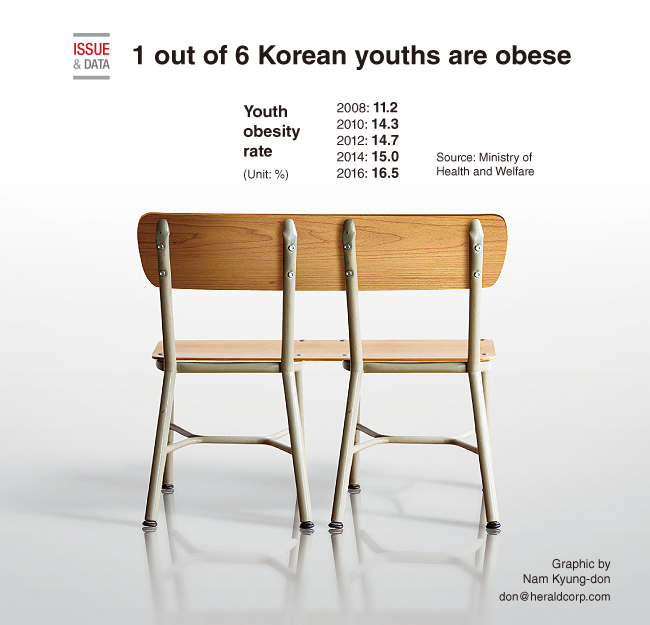 According to the Ministry of Health and Welfare, 1 out of 6 South Korean children and youths (elementary, middle school, and high school students) are obese with the rate increasing every year. The obesity rate increased from 11.2 percent in 2008 to 14.3 percent in 2010, 14.7 percent in 2012, 15 percent in 2014 and moved up to 16.5 percent in 2016, the data showed. Also, the data showed that 77.1 percent of children and teens drink soft drinks at least once a week, up from 74.2 percent in 2014.